I was not so pleased by their second album 'Destruction Time Again'. Although the music was quite alright, there still was something missing. The songs didn't stick and some songs were a bit loose sand, no real head and tail so to speak. Three years later they are back with 'Reveal No Secrets' and things have changed positively. The songs are better arranged and have more of a face of their own. The melodic death metal they played on their second album is still there, but better worked out. The heavy and aggressive parts sound better and are better combined with the softer and clean-singing parts. In my opinion the high clean voices can improve a bit more, they sometimes sound false and that's irritating. In "Thirty Years" the vocals do even have similarities with Geoff Tate. Personally I think the best song is "Energy Taboo"; a very balanced song with heavy aggressive parts, some clean parts and with nice melodies, the best composition on this album. "Uncompassion" is carried by a nice keyboard-sound effect underneath the music. This gives just that extra to the song. 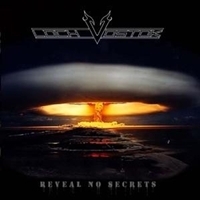 In the info it is stated that Loch Vostok is for fans of Children of Bodom, In Flames and Arch Enemy. I do not completely disagree with this, but Loch Vostok is much more progressive, has cleaner and softer parts in the songs, uses more keyboards (which make their songs better) and has a lot more variety. People who are into Machinery, Soilwork and other bands that combine aggressive parts with clean singing parts should certainly try this one too.